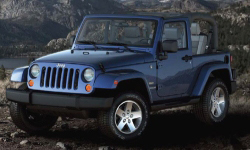 The Rocky Mountain Edition trim is a special edition Wrangler that was debuted during in the TJ generation. It was initially made from 2003-2005 and featured a Dana 44 rear axle large tires/wheel along with unique visual amenities including a special Rocky Mountain Edition decal. The Rocky Mountain Edition Trim was brought back for the 2009 Model year as a special edition of the X trim, with the following unique features. Why Buy an Rocky Mountain Edition? Rocky Mountain Edition 2009 Wrangler’s are rare and hard to come by. They were made in limited numbers and not many owners list them for sale often. For this reason the Rocky Mountain Edition is a sought after option for Wrangler enthusiasts. Other than this benefit; Rocky Mountain Editions are nothing more than X packages with aftermarket tires/wheels and side-steps. 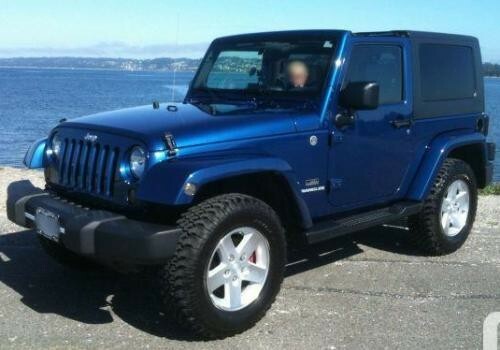 Check out current 2009 Rocky Mountain Edition Jeep Wranglers listed For Sale on this site.